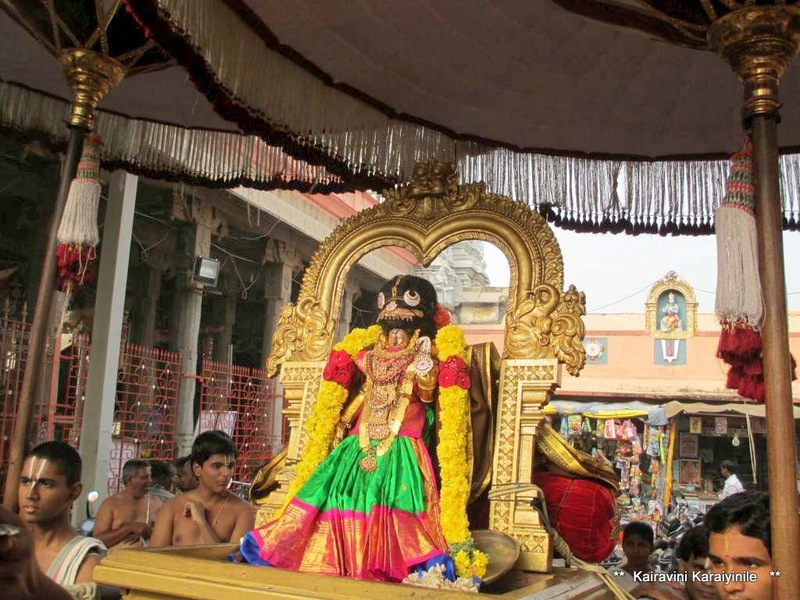 Today also marks the 1st day of ‘Andal Neeratta Uthsavam’ … Andal’s Thiruppavai contains ocean of values including significance of Naama sankeerthanam to Sriman Narayana. 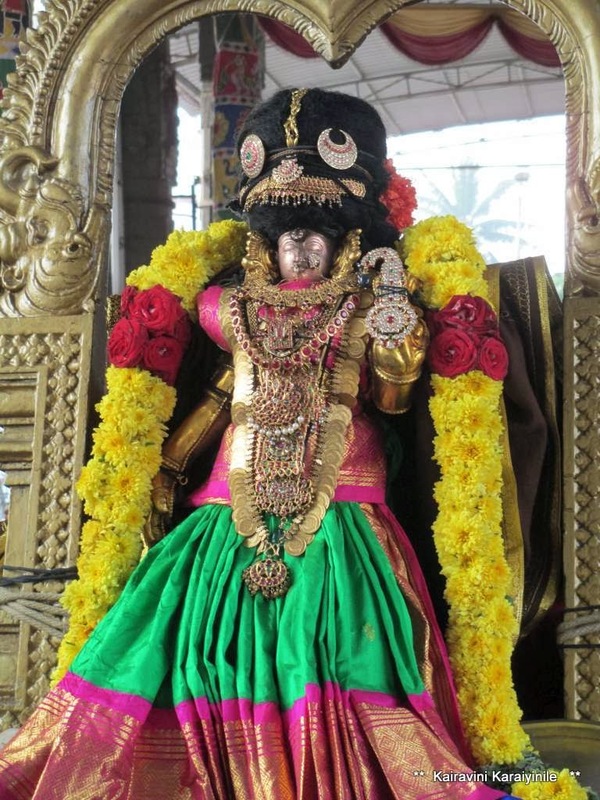 The Saint Poetess observed Paavai Nonbu (vratham) to attain Lord Krishna. The month chosen for the vratham was Margazhi also known as Dhanur Masam. She was on vratham throughout the month and the month of Margazhi got lot of significance because of Andal. 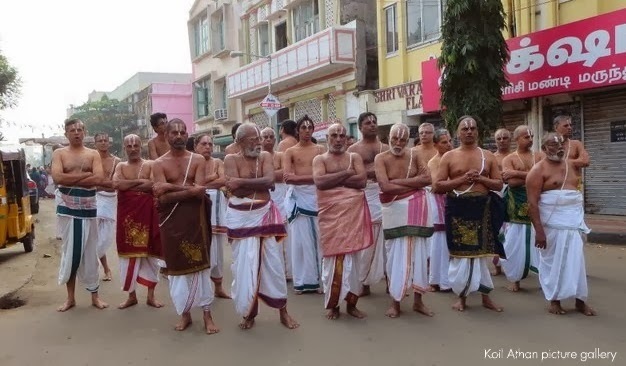 In the month of Margazhi, there is the Nine day festival for Andal known as Neeratta Uthsavam. Daily morning there will be veedhi purappadu of Andal signifying her preparation for the neerattam. 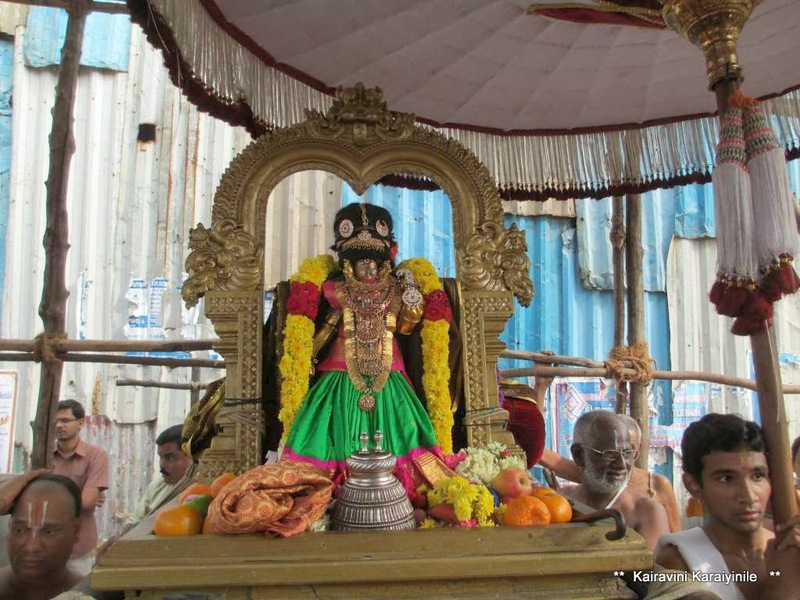 After the purappadu, Andal will have ‘Thirumanjanam’ at the Neeratta mandapam which is just opposite to the Thiruther. Here are photos take this morning.